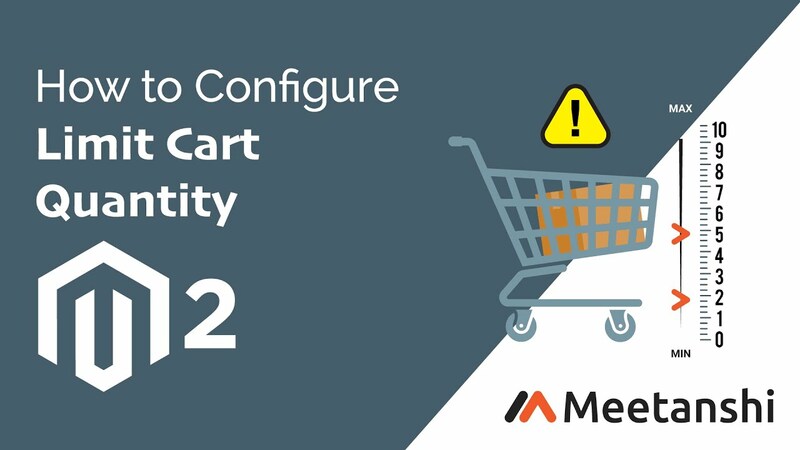 Magento 2 Limit Cart Quantity allows admin to set the minimum and maximum product quantity purchase limit to the shopping cart based on customer group. Restriction on cart quantity per customer group. Tactful sales management is necessary for a Magento 2 store. It helps in stock management and gain profits with minimum efforts. The default Magento 2 allows to set minimum order quantity but does not support minimum and maximum number range as well as apply such conditions based on customer groups. To overcome such limitations, Meetanshi has developed Magento 2 Limit Cart Quantity extension that enables restriction on cart item quantity based on customer groups. The Magento 2 Limit Cart Quantity extension helps to manage sales in the store by imposing restrictions on the cart item number based on the customer groups. For example, the minimum cart quantity can be set to 100 with the help of the module for wholesalers so that a fixed ratio profit can be incurred. Also, retailers can be restricted to a maximum cart quantity to manage stock in Magento 2 stores. The Magento 2 Cart Limit extension sets a maximum or minimum limit to the number of items allowed in the cart according to the customer groups. Due to such condition, whenever the customers add quantity less than the minimum or more than the maximum limit set, they get validation message. The module helps to improve sales performance, manage the packing and shipping costs and hence benefit the business. Easily set a limitation for the total quantity of all products in the shopping cart. Set the minimum and maximum quantity limit for the particular customer groups. Option to display a custom error message at the time of order placing when a cart is not qualified for successful checkout.